Some people mistakenly think that they don't need an inspection on a newly constructed home. Nothing could be further from the truth. Builders may hire many subcontractors to do various parts of the construction. They follow one another on the job, and often there is a failure to follow up on the part of a sub contractor and some things may be "forgotten" or not finished. Here, one of the contractors forgot to install the roof vent. 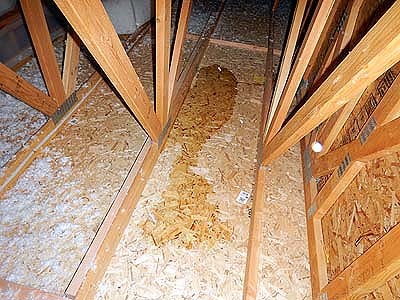 Water leaking into the attic of a new home. 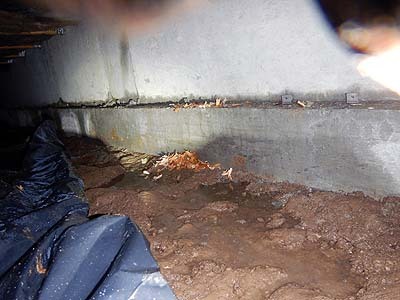 Standing water in the crawl space of a new home. Of course, your new home is guaranteed ...... but only for things you notice ! 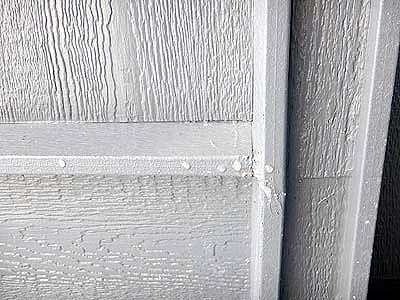 You may not know about many of these types of defects for many years. Be sure to have your "New" Home inspected before you close on it. You'll be glad you did. Water built up and leaking through soffit on house. When you put your home up for sale you want to be sure that when a buyer comes along, that all will go smoothly. It's possible .. and even likely ... that there are defects in your home that you are not aware of. Having a home inspection before a buyer comes along allows you to take care of any defects that might be found in an inspection which could cost you the sale of your home. Play it safe... have your home inspected when you list it for sale. Buying a home is the biggest investment most people make in their lifetime, and you deserve to know what you are getting when you buy a home. 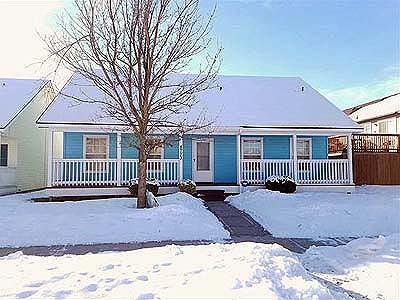 No home is "perfect" ... especially exisiting homes. But whether your new home is 5 years old or 100 years old, you need to know it's good points and it's flaws. A Home inspection will allow you to make your purchase with confidence. There are many defects that are not apparent to most home buyers. Some are minor, but some are major and should be fixed before you complete your sale... and some are so serious you may want to cancel your sale. 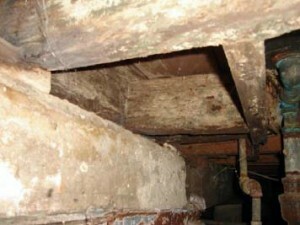 Without a home inspection you won't know ! You never know what you might find in a crawl space ! 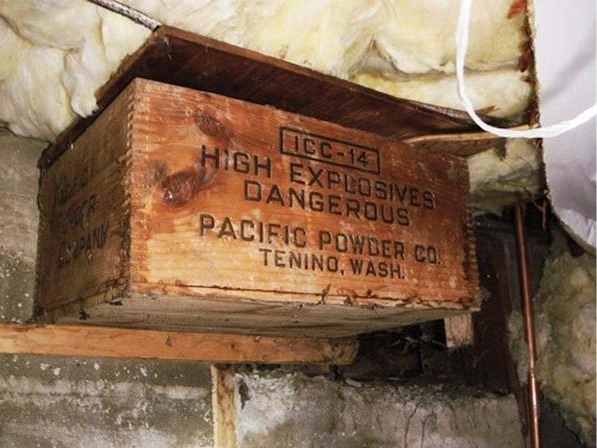 While this is an unlikely find... it was found in a home inspection in Washington ! 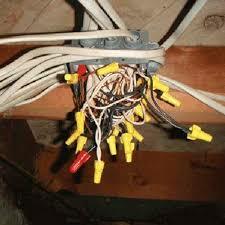 Faulty wiring is among the most dangerous things found by a home inspector. The structure of your home is of the highest importance ... it's the "backbone" of your home. An inspection can let you know that it's in good shape...or if it's not. These are just a few of the many systems examined by Lawford Home Inspections ... we will provide you with a report listing all of your homes systems and the condition of each ... from the crawl space to the roof.